Gorgeous use of tall the buttons. so fun! love all those buttons! 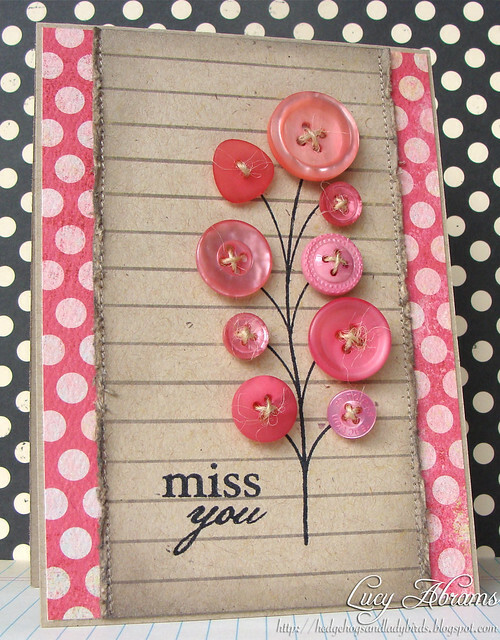 Fab card Lucy, love how you used just the stem of the HA set as your base. So fun. Now it'd pain me to use so many buttons but it's totally worth it for the fabulous effect you've created! So sweet! Yum! So pretty and what a lovely color.